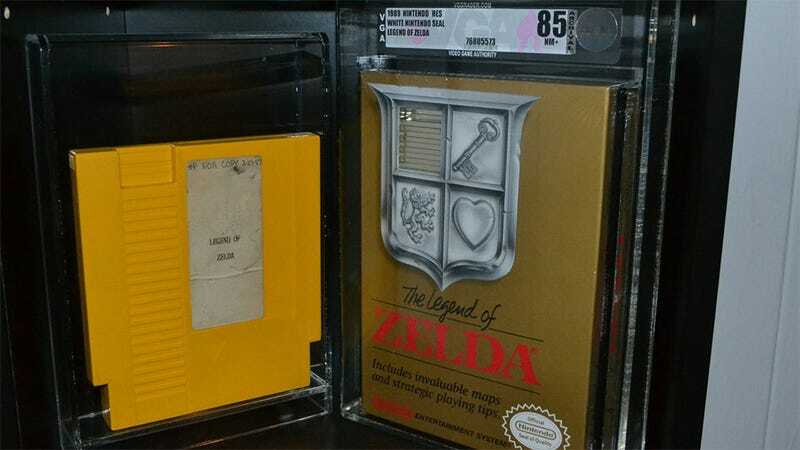 Why spend $15 on a box-less copy of The Legend of Zelda for the original Nintendo Entertainment system when you can spend $150,000 on a mustard yellow NES cartridge adorned with a faded label with the game's name typed on it? It's collectible craziness available right now on eBay. Now I can understand paying a pretty penny for the factory sealed and graded copy of The Legend of Zelda for the NES, but not much more than $500. I wouldn't pay that much myself — I'd make my own box for a cheaper loose copy — but I understand the allure to a collector. What I don't get is why anyone would consider paying $149,500 more for this. I have no doubt that this is a prototype copy of The Legend of Zelda. There's a video of the seller playing it, pictures of the prototype board inside the cartridge; nothing is making me question the validity of his claims. I'm just questioning his asking price. Is this one-of-a-kind yellow mess really worth that much? If I have to ask, I'm probably not the target audience. Then who is?